Celia writes: I’ve been making notes on the things that mystify me re: my new iPhone 4s. My last phone was a Blackberry Curve, which had very little memory, and required text messages (and other things) to be deleted when it ran out of space. Should I delete long text threads on the iPhone? I have like 6,000 e-mails on my Apple account. Is this killing me? What about the photo roll? I simply don’t know what is ideal for use. Hi Celia! When it comes to old email and text messages hogging space in your iPhone 4S’s 16 GB (short for “gigabyte”), 32 GB, or 64 GB of built-in storage, you can probably relax. An average email message without an attachment takes up only about 20 kilobytes of storage space, while a single text message is even smaller—as in a couple hundred bytes, give or take. Related: How big is a gig, anyway? So if there are about 1,000 bytes in a kilobyte, and an average email is about 20 KB, that means you could cram about 100 text messages in the space needed for a single, text-only email. Text and email messages don’t take up much space, but photos, music, videos and apps can really add up. In other words, your iPhone 4S has plenty of storage for text messages; indeed, you could probably get away with never deleting a text from your handset. Now, here’s the thing—your iPhone’s memory isn’t devoted to only text and email messages. 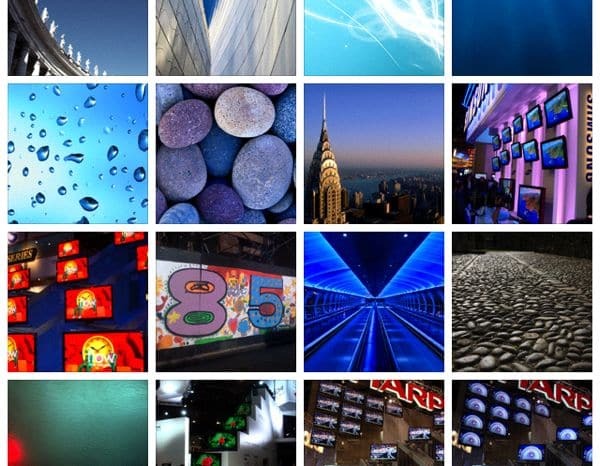 You’ve also got the photos in your camera roll, and a single picture taken with the iPhone 4S’s eight-megapixel camera weighs in at anywhere between two and four megabytes. So if you have 100 photos saved in your camera roll, that’s about 300 or 400 megabytes of storage just for your pictures—and remember, there are only 1,024 megabytes in one gigabyte. And then there’s your music (about 3-5 megabytes a song), your apps (sizes vary wildly, anywhere from a few MB for a small utility to a full GB for the largest games), and your videos (think about 1 GB for a 90-minute SD movie from iTunes). Oh, and one more thing: your iPhone reserves about 3 GB of storage for the iOS operating system itself. 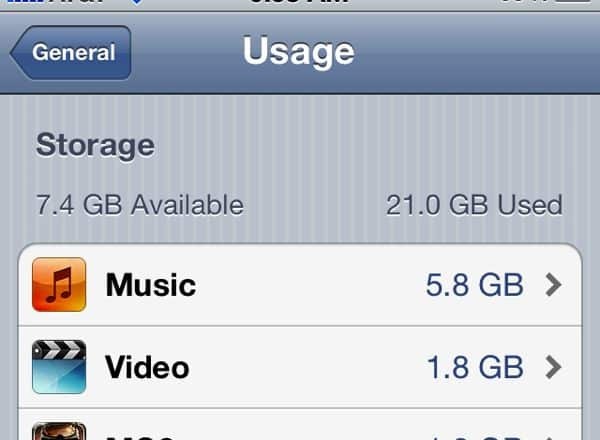 OK then, how can you tell how much free storage space is left on your iPhone? On the iPhone 4S or any iPhone that’s been updated to iOS 5, tap Settings, General, Usage. You’ll see a summary of how much storage you’ve used, what’s left, plus a break-down of the space used by your music, video, and apps, with the biggest space hogs listed first. Tap any item to see its details, and in the case of videos and music, swipe to delete. You might want to back up your iPhone to iTunes before you start going on a deletion spree, though. Also, keep in mind that you can always re-download any music, TV shows, or apps that you bought from the iTunes store. Not listed in the summary, for some reason, are your iPhone photo albums—and like I mentioned above, photos can really add up in terms of storage space, so be sure to prune your collection every once in awhile. You can always transfer your photos to your PC or Mac by syncing with iTunes, or try using the new Photo Stream feature in iCloud. And what if you have an older iPhone that hasn’t been updated to iOS 5? Well, you can still check how much storage you have left (tap General, About, and scroll down to “Capacity” and “Available”), but you won’t be able to see a nice break-down of how your iPhone’s storage is being used. Hope this helps—and if you have more questions, let me know!